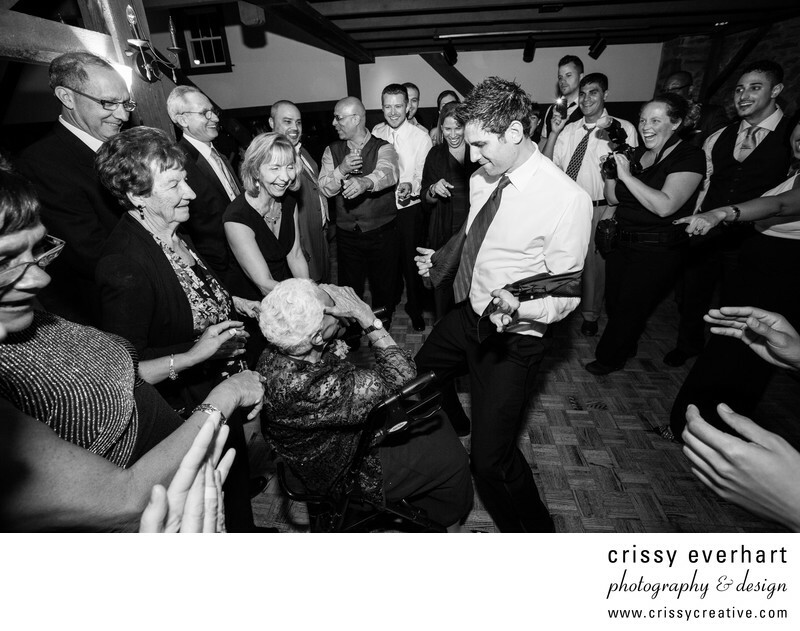 A groomsman does a strip tease for the bride's wheelchair-bound grandmother, making everyone laugh hysterically. He pulls his vest down over his white dress shirt, and straddles her wheelchair! Grandma may look embarrassed here but she enjoyed every second! All the family members crowd around to witness the action. Even my second shooter is cracking up!! Location: 385 Bridge St, Collegeville, PA 19426.